There were two things that happened this fall revolving about Makino Mamoru that are worth noting. Makino, for those who don't know him, is the filmmaker, film historian, and collector who has not only produced important scholarship such as his history of Japanese censorship, but also collected materials essential for the study of Japanese film history. 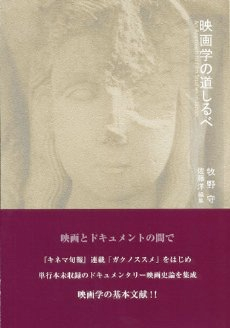 Markus Nornes and I edited a festschrift for him, In Praise of Film Studies, as well as dedicated our Research Guide to Japanese Film Studies to him. The first big thing was the publication of a collection of his writings, Eigagaku no michishirube, by Bunsei Shoin. It was edited by Sato Yo, a fine young scholar who has been doing some excellent research on early film critics and helping Makino-san a lot recently. The book contains Makino's long-running work "Gaku no susume" that was serialized in Kinema junpo. It is a personalized account of the state of film studies in Japan, and Markus and I appear several times (even--ugh!--through photos!). The anthology also includes some of his other articles on documentary film history, proletarian film, film bibliography, and the history of Japanese film theory (a subject I am also working on: note the special issue of the RJCS). A complete table of contents is available on the Bunsei Shoin site. Markus and I also wrote short recommendations for the publication. Bunsei Shoin, by the way, is currently undertaking a full-color reprinting of all the issues of Kinema junpo from 1927 to 1940 (the period that has not been reprinted so far). This is a reprint that any library with a collection on Japanese film should have. The news reports are relating the sad news that Morita Yoshimitsu, the director of such great films as Family Game (Kazoku gemu, 1983), passed away on December 20 of acute liver failure. He was only 61 years old. 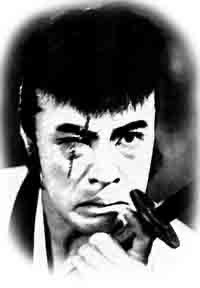 Morita was always a complicated, contradictory director: fascinating and frustrating but always worth watching. He emerged from the world of independent filmmaking, becoming one of the first to theatrically release an 8mm feature film (Live in Chigasaki in 1978), and later independently financing his 35mm debut (No yo na mono, or Something Like It, 1981). Family Game, which I wrote about in Julian Stringer and Alistair Phillips's Japanese Cinema: Texts and Contexts, earned him a reputation abroad as a great social satirist, but as I argue in the piece, it also deftly intersected with popular discourses about postmodernism and fashion. After the film, Morita declared himself a fashionable or pop director (ryuko kantoku) in ads he took out in magazines, and went on to direct quite a number of questionable movies starring idols and tarento. Even with his lesser films, however, you always had a sense Morita was self-consciously thinking about the media environment, if not cinema itself, and some of his best subsequent work, such as Haru (1996), which is largely composed of text messages, are experimental in one way or another. The marvelous monstrosity that is the crime thriller Mohohan (2002) is in fact a critique of our virtual media reality. While some of the idol films are not inspiring, small works like The Mamiya Brothers (Mamiya kyodai, 2006) are absolutely endearing.